‘Phantom’ is a deciduous, bushy, upright to spreading shrub with yellow-green leaves and green stems which mature to mid-brown. 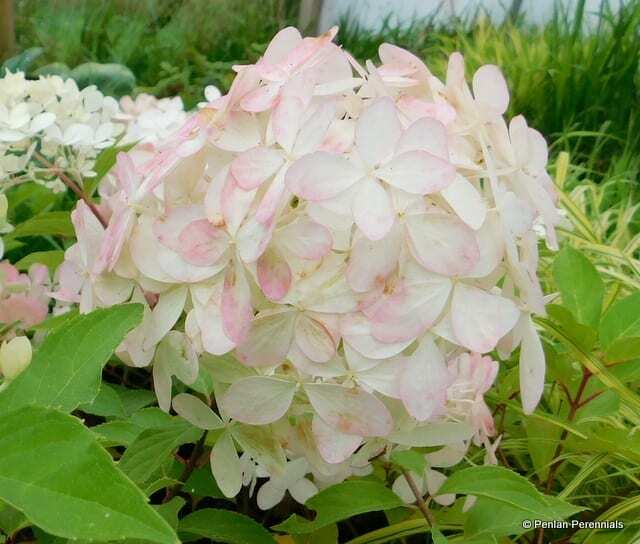 The panicles are very dense and the fertile florets are pale pink and white, the sterile florets are white with a hint of lime green and turn deep pink when mature. Prefers moist, well-drained soil in full sun or partial shade. Hardiness H5. Pot size 2L. Propagate by softwood cuttings in early summer or hardwood cuttings in winter. To attain the largest flower heads this should be pruned back hard to around 20-30cm (1ft) above ground level and mulched yearly. May cause mild stomach upset if ingested.